You can see that three buildings are already up. The main building is one of the most important buildings you have since it is a required to build almost every other building. A granary and warehouse are also built. There are 16 building lots on the outside ring and 4 building lots on the inside. There are also 2 special building spots – the wall and the rally point. 2. (Orange): This is where you build your rally point. Your village’s troops meet here. 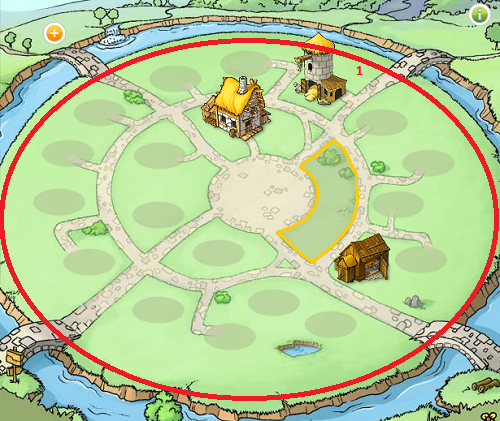 From here you can send them out to conquer, attack, raid or reinforce other villages. The higher the level of your rally point the better your catapults are at hitting what you want them to. The rally point is also needed to build a barracks and some other buildings, so without one constructed in your village, you can’t train any soldiers. 1. This is an oasis. Your hero can conquer these by upgrading his hero’s mansion and then sending attacks to the oases. 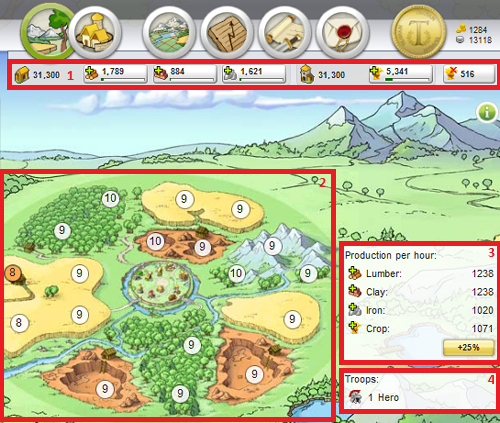 Oases provide a production bonus to your village. If you click on the oasis you will see information about it such as how many wild animals are there and what percent the bonus is. 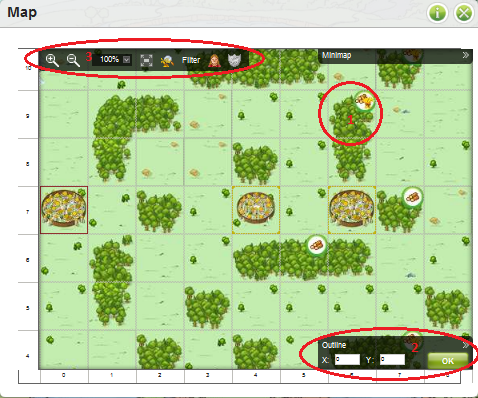 You also have the option to raid the unoccupied oasis for resources. You will need to upgrade your hero’s mansion to level ten if you wish to conquer an oasis. If you upgrade the hero’s mansion to level 15 you can capture a second oasis and upgrading to level 20 lets you capture a third one.